KayKiSpeaks.com: Ahhhh Kimye (Kim K & Kanye) in Paris!!!! Kim and Kanye's relationship has been the talk of the town for some months now and they appear to still be going strong. 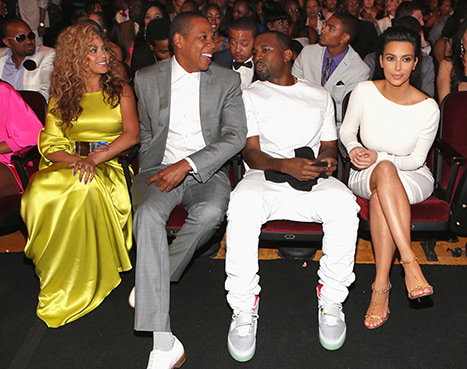 Kanye even brought Kim to the BET Awards and they sat front row with Jay & Bey all coupled up. Kim and Kanye immediately left for Paris afterwards and the two have been spotted everywhere hand in hand looking might I say- adorable!! Im falling for it!! Kimye may be the real deal!!! Best wishes to both of them!